To be eligible to become a registered official, you must be at least eighteen (18) years of age. • Please allow a minimum of four weeks for the registration process to be completed. • You are not a registered official in a sport until your chapter notifies you.  ***You MUST register with the Texas High School Basketball Association (THSBOA). Then you MUST go to the Houston chapter's assigning website and register.